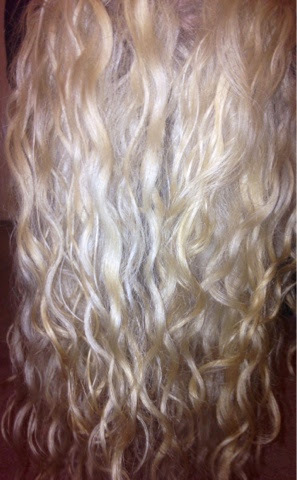 Curly Wavy Scrunch Set at the Salon Demo! 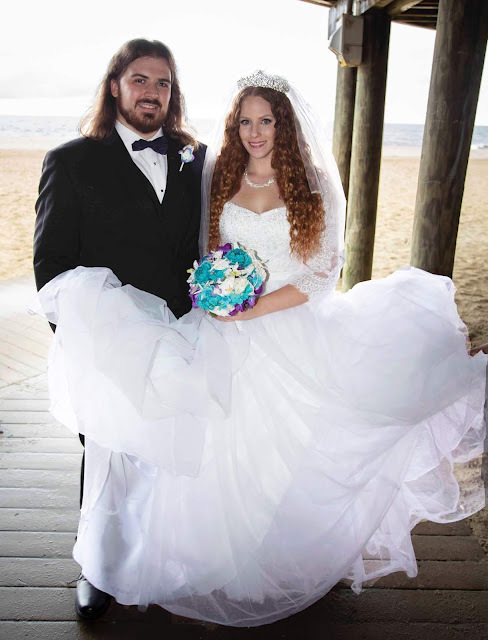 Big special thank you to Lisa & the Marucci Hair Design staff for allowing this to happen! This blog post is a 2 parter: a product review and a haul =) So the product reviewed is one by Phyto. Phyto is plant-based hair care line and is over 60 years old! There are treatments and styling products for all different hair types and concerns and they feature natural, botanical remedies. A lot of the products but not all are also silicone free which I of course appreciate! I am reviewing the Phyto Subtil Elixir Nutrition Shine Oil. I purchased it at Sephora for $38.I bought one and enjoyed it so much I finished it up and now am on my second bottle. Sephora's site describes it as an intense nutrition shine oil for dry to ultra-dry hair- my hair is on the ultra-dry side so I had high hopes for this little elixir. The Sephora site also says "This fine, lightweight, and easy-to-rinse oil effortlessly penetrates into each strand bringing damaged, dehydrated hair back to life. The formula restructures ultradry hair while leaving a discreet fragrance of banana leaf, passion flower, gardenia, and exotic musk notes. Hair feels immediately replenished and its original softness and shine are restored"
This product contains no sulfates, phthalates, silicones or parabens and features great ingredients including Camellia Oil, Corn Germ Oil, Egg York & Karanja Oil. The fact that this product contains egg yolk is what caught my attention. So many times in magazines and online for at home DIY (do it yourself) hair mask recipes, more often than not they call for egg yolks to help add strength and revitalize the hair. I never saw egg yolk in a pre made product until this! I like to use this as an overnight "pre poo" treatment once or twice a week before i am going to wash my hair the next day. I have been mixing it with my beloved coconut oil. The oil smells delicious and when i use it, the next day I notice my hair is extra shiny and soft. On day 3 and 4 hair if my hair is looking particularly dry I will take one or two pumps only (a little goes far) smooth it all over concentrating on my ends and it adds back shine and frizz. Check out my video below for a more detailed review and quick demo! 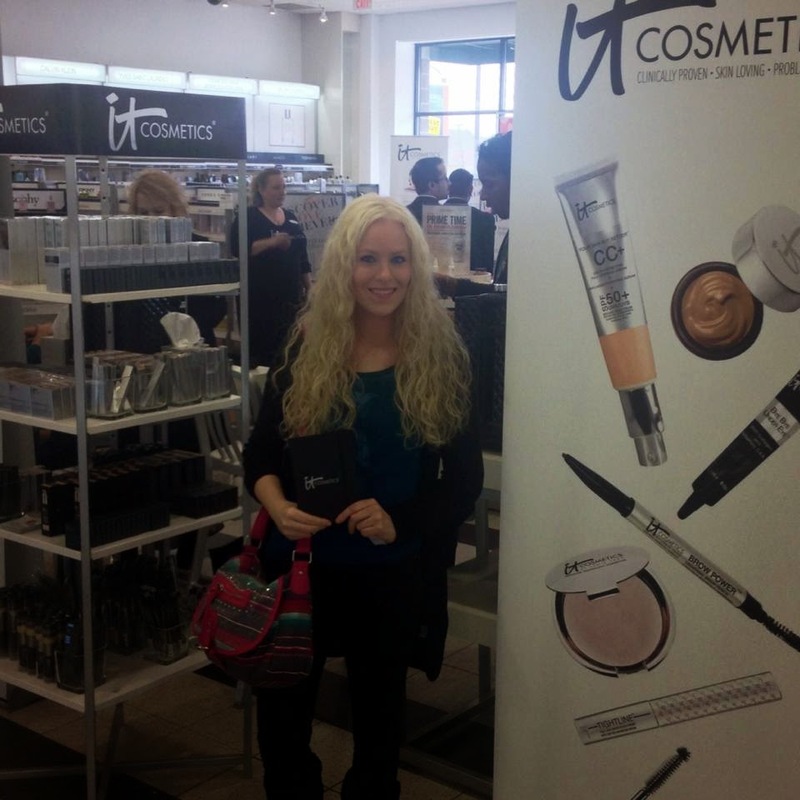 On Saturday March 22, 2014 It Cosmetics had many events at Ultas around the country. 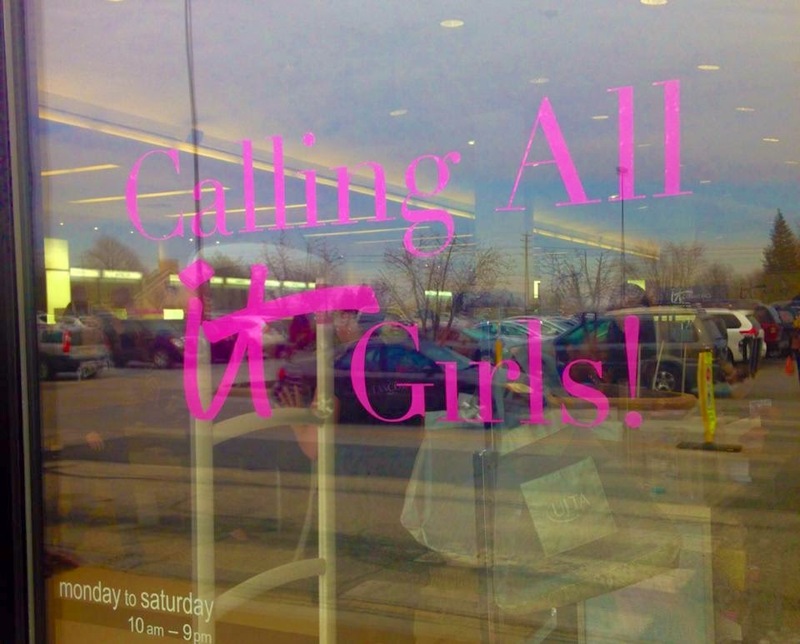 However the one at the Concord Mall in Delaware was extra special. 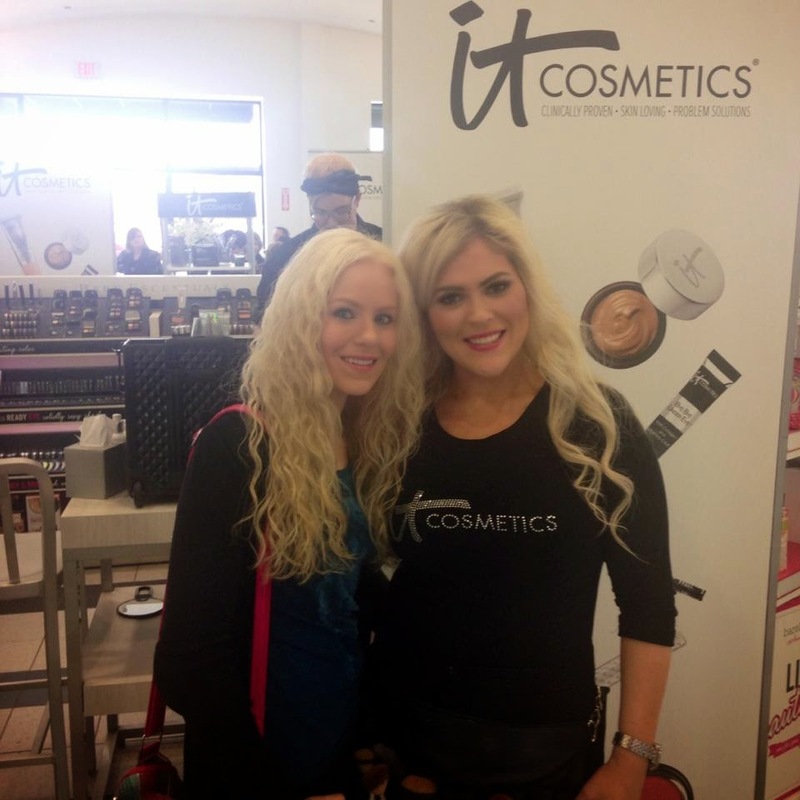 This was the first time the founder and CEO of IT, Jamie Kern Lima would be making a special in store appearance!! Having read this on the brand's Facebook page a few weeks prior, I knew I just had to attend. I've been an IT fan since early 2012 and have always wanted to meet the wonderful lady behind the brand. So my boyfriend, Tommie and I got in the car and took the 2 hour trip from NY & NJ. Luckily we hit no traffic and made a day out of it by going to the QVC store in Pennsylavania and the King of Prussia mall after. The weather was beautiful and in the 60s which added nicely to the day. 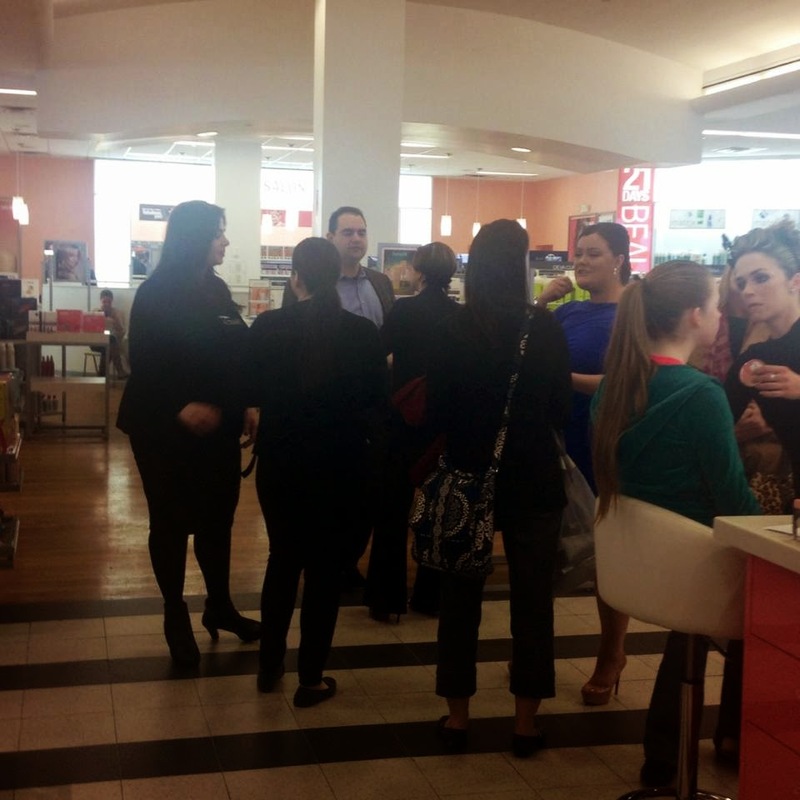 I've been to two IT Ulta events prior and I always enjoy going- watching the makeup artists transform women into the most beautiful versions of themselves is awesome! I also always leave with a good makeup tip or two. One day I should schedule an appointment and have them do my makeup for fun. I also like talking to all the IT family and fellow IT lovers at these events. So Ms. Jamie is one of the most kind, sweetest, people I ever met in my life. 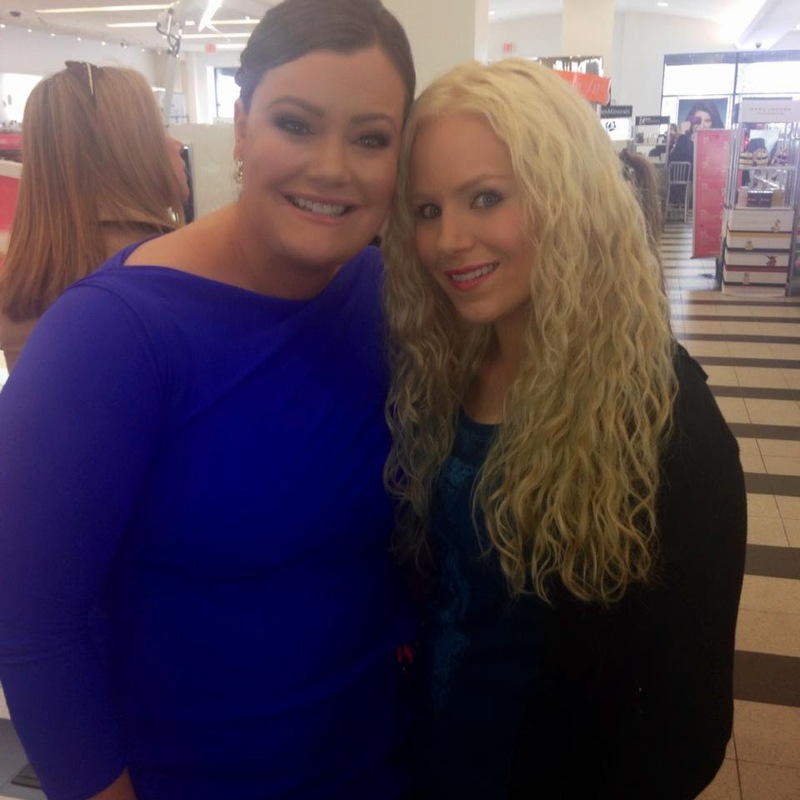 All the passion for her brand and love for her customers we see on QVC is 110% genuine. I was humbled she knew who I was right away! She thanks me for being an It Girl, and supporting the brand and we talked for quite a while. I jokingly said I can probably easily see the products if she ever needed someone to stand in! LOL. It's so nice and refreshing to see the beautiful people we see on tv constantly are so down to earth and truly appreciative and supportive of their customers and fans. And I plan on being a customer of IT for life: high quality cosmetics created by truly high quality people. 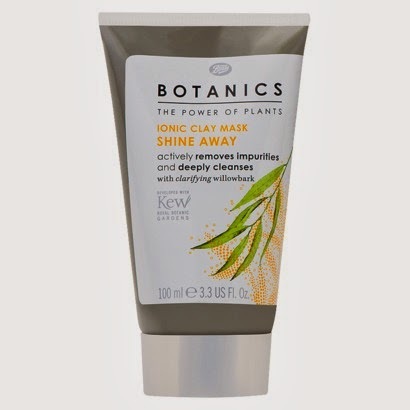 According to their website, The Shine Away Ionic Clay Mask is "a mineral rich oceanic clay mask that contains a negative electrical charge which acts like a magnet helping to draw deep rooted impurities out of the skin without drying. The hydrating and oil absorbing properties found inside leave skin soft, smooth and wonderfully cleansed." My skin is combination- it isn't dry, not quite oily but does get shiny in areas and I am prone to break outs. It sounds like this mask was designed just for me skin! When I used the mask, I left it on for about 15 minutes until it dried up. I thought the green color was very pretty! ;) Compared to other clay masks I use, this one didn't leave my skin feeling very tight and dried out after. 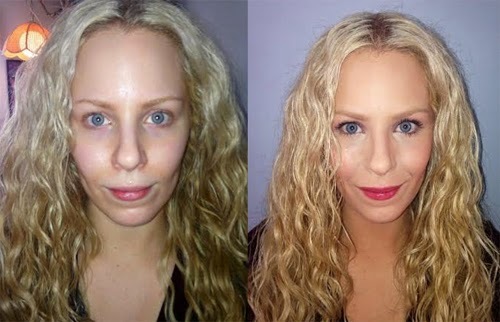 I also did notice less shine- my skin looked more matte and my pores even looked smaller. So far I used the mask two times and plan on continuing to use until it is empty. I am enjoying the results so far- some immediate results and hopefully with long term use it will only get better! 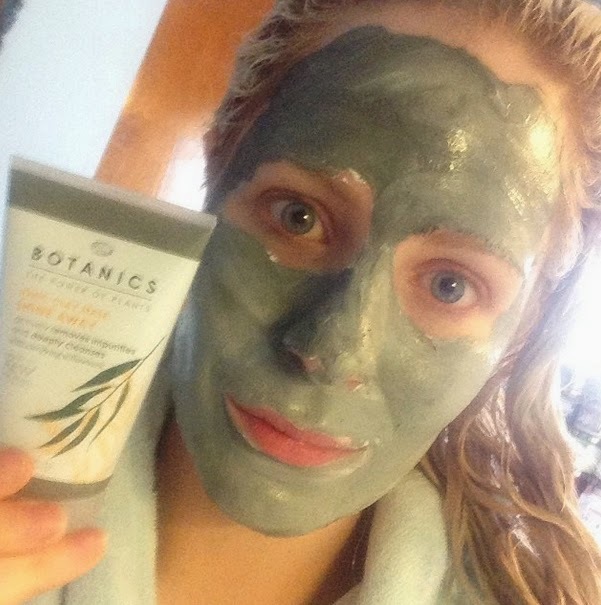 disclaimer: this mask was provided to me complimentary from Influenster for review purposes. all opinions are honest and my own, as always. I receive no monetary compensation for my reviews. Recently I received the chance to try out several products by the brand Original Moxie and I really enjoyed the line! Maybe you saw my hair of the day post here where I styled with some of their stuff? Anyway, Original Moxie is a Natural Hair Care line that has a whole range of products for every hair texture and type. They have this cool 3-D Diagnostic system that helps us understand exactly which products work for our specific hair types and there are easily read labels on the bottles as well. The products are as natural, chemically free, cruelty free and environmentally friendly as possible. A lot of the products (though not all) are also silicone free and are curly girl method approved! They are enhanced with lovely essential oils and butters to help bring out the best in our hair. 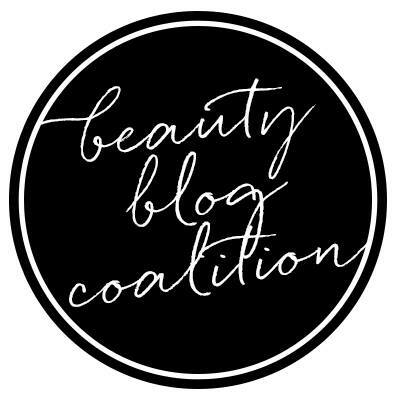 Their website has so much incredible information about different hair types, their products and ingredients so I encourage you to check them out! Disclaimer: Products were provided to me for review consideration. All thoughts and words expressed are my own honest opinions. I receive no monetary compensation for my reviews and am not endorsed or sponsored by any company. So technically this is Thursday's Hair but I haven't had a chance to blog until today (Sunday) I went to the salon to get my roots touched up and I always like taking pictures after. Gotta love that fresh from the salon hair feeling. 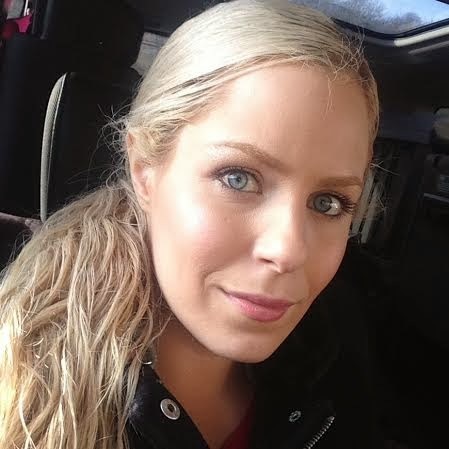 There's been some issues going on with my hair color- I love being uber light blonde, my natural color is strawberry blonde but i LOATHE the red and orange tones. My hair is very porous and stubborn so sometimes the color doesn't take evenly and the bottom and ends look darker than the top. We think we (my hairstylist and I) finally fixed the problem this time and if not I might wind up going a shade darker for the health of my hair. Ultimately I don't want to run color through the length of my hair every time or every other time and want just my roots done- although for whatever reason my hair feels as soft as it's ever felt after getting my color done Thursday. There was toner and deep conditioner involved too but I don't know the details on all that. The cool news is my hairstylist did tell my my hair is fine but my hair is strong like steel because of how well I take care of it. All my hard word and hair obsessions are paying off and it can handle the color, so that is nice an reassuring. After the color process my hair was set in a "scrunch set" It was diffused to bring out my natural curls and it lasts for days. Good news is we actually recorded it so I should have that video up soon. 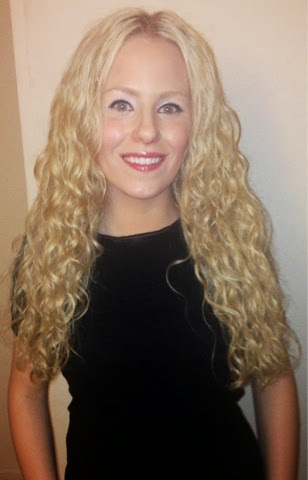 Products used were Devacurl One Condition, B'Leave In, ArcAngel & Styling Cream. And here are the pictures. The light isn't the best because the sun already set by the time I got home and took them, but I did my best. 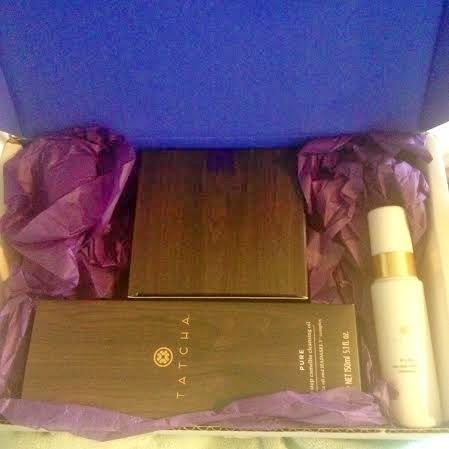 TATCHA is a skincare company that contains unique Japanese Beauty Secrets infused into all of their products. The company founder, Victoria Tsai developed the company after her own passion for skincare led her to the far east in Asia and learning about the beautiful Japanese Geishas and what they use to keep their skin under there signature makeup flawless for hundreds of years. The products in the line all contain wonderful natural ingredients including Green Teas, Okinawa Red Algae, Rice Bran to name a few. Also important, all of the products are never formulated with mineral oil, synthetic colors or fragrances, sulfate detergents, parabens, phthalates, urea, PEGs, PPGs, DEA or TEA. They are also Non-irritating, Non-sensitizing and Dermatologist tested. I have seen some products by this line presented on QVC a few times, they always wound up in my cart but for some unknown reason I now regret, I never purchased them until last week. Watching Victoria on QVC you can see her love, compassion and genuine happiness with the line she has created. Now I am above and beyond impressed with this brand. Not just the products (which I promise I'll get to) but also for the company and founder. First off, I placed an order and barely two hours later I got the e-mail it shipped! WHAT? 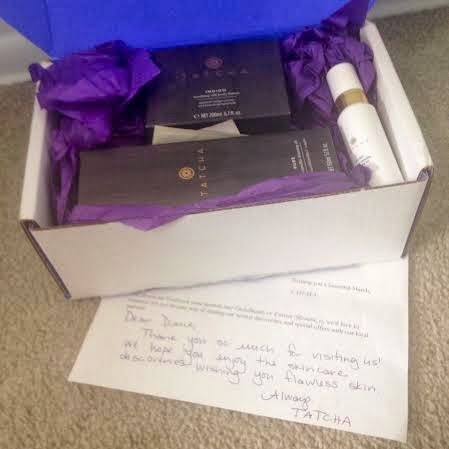 Not that they received it, but that the products were out to me. That is lightning fast. Shipping was also free and my order arrived priority 2 days later!! When I opened up the box just the overall presentation of how the products were carefully layed out, and the products even inside the boxes were beautiful. It just seemed to me that so much time and care was put into my delivery. I also received a free gift upon first purchase with a promo code I found and was able to select three sample size packet to go along with my order. Now, here is the icing on the cake. Aside from everything packed so wonderfully in the box, stock cards that gave me a ton of information about the products I received, including the samples (which I geeked out over because I love learning about ingredients and such) there was a letter. A typed letter thanking me for my purchase and then on the bottom A HAND WRITTEN NOTE! I don't think I ever received a hand written note when I placed an online order before. To me that shows this company truly cares about their customers. It was just so kind it truly moved me. About those products now...My kind friend Misty mailed me a sample packet of the Pure one step Camellia Cleansing Oil because she loved it and wanted me to experience it too. 2 days before my order arrived I tried that packett and literally placed my order five minutes later. Yes, it was THAT good! What blew me away upon initial use was for starters there was nothing icky in it, including mineral oil, it left my face super soft and smooth and it removed every. trace. of. makeup. including waterproof mascara! I've tried other cleansing oils before but traces of my mascara and eyeliner always remained. Not with with one. I can't give a long time review of this product yet since I have only been using it a few days, but I will in the future. The other product I ordered was the Indigo Soothing Silk Body Butter. I ordered this product out of a cry for desperation to be perfectly honest. A few weeks ago I started developed an ugly rash on my torso (thank goodness not my face!) where I had these red scaly circle spots. I went to my dermatologist and I was diagnosed with Pityriasis Rosea. Luckily it wasn't contagous and not from bacteria, but likely viral and brought on from stress inside. Either way, I wanted these spots gone and nothing, I mean NOTHING was making them fade even a little bit. The inidigo in this body butter is an anti-inflammatory. Scientific studies have shown that this indigo has a remarkable effect to soothe dry and irritated skin. 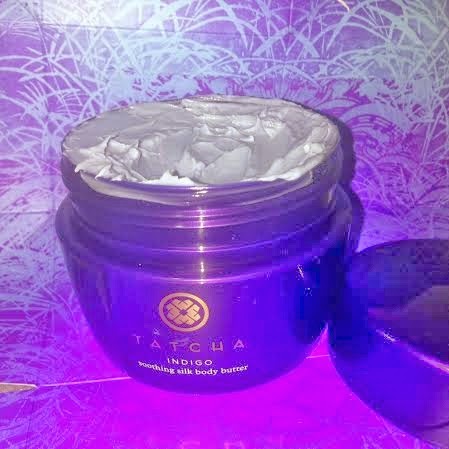 The body butter also contains liquid silk and squalane to further protect and nourish the skin. The pretty inidigo blue color of this body butter is mesmerizing. The smell is fresh and just delightful and the formula sinks into my skin instantly without feeling sticky or tacky. I have been using this body butter now almost a week (even longer than when I mentioned it in my video below) and it truly is a MIRACLE. I noticed a decrease in the spots after the first use. Is that even possible?!? Consistently using this cream twice a day and the spots have faded so much they are almost gone! Even my boyfriend can't believe it (and luckily, Mr. sensitive nose approves the smell of the butter) Other pleasant side effects of this body butter are that my skin feels like satin and the pimple like bumps I've had on the back of my arms forever have seemed to magically go away as well! I'm sorry this blog post is long. But as mentioned before, this brand truly impressed and wowed me. 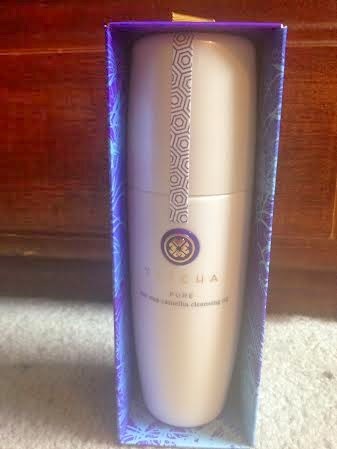 It was my first but certainly not my last TATCHA purchase! I look forward to trying other items in this line in the future. disclaimer: products purchased by me. i receive no monetary compensation nor am i endorsed or sponsored by any company for my reviews. All opinions are 100% my own and honest. Monday is my wash day where I do not use heat or steam with my deep treatments. To start off, I cleansed my hair using the Nubian Heritage Indian Hemp & Tamanu Co-wash. this is one of my very favorite hair products ever!!!! It cleanses the hair and leaves it so so so so so silky soft. Plus it is curly girl method approved and super affordable! For a while i didn't know where to buy it locally but now curlmart.com has it so i will be stocking up! I also mixed in the Ouidad Exfoliating Scalp Treatment as i do 1-2x a week which really helps aid in hair growth. to style I applied a mix of SheaMoisture conditioners I have been using as a leave in, followed by a mix of pureology sprays that help my color. i then applied Living Proof Prime- seriously any single product i put on top of this always works better with it then if i leave it out! it is another holy grail. Then I applied Original Moxie Oasis & Just Gel. You can expect a thorough Original Moxie review from me soon but I will say I am crazy about the oasis gel. sadly there is not enough hold for me to use it on it's own but it really enhances my curl definition and also provides incredible added shine! After applying those products section by section and raking them through, I plopped while I did my skincare and body care routine. Once out of the plop I sealed everything with argan oil and let it air dry. 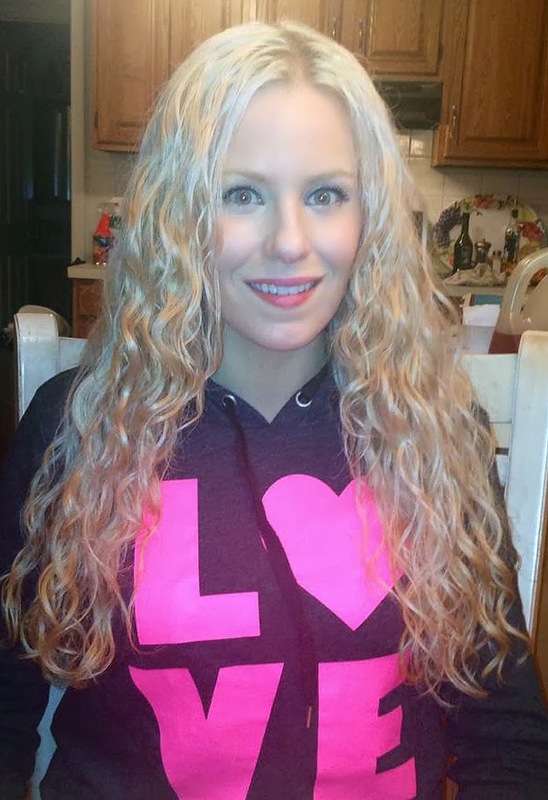 My hair always looks soo much better air drying rather than diffusing. It's great because it is healthier for the hair but stinks because it takes hours to dry. Briogeo is a Natural Hair Care Company that contain pure, preminum and natural ingredients that help to enhance all hair textures. 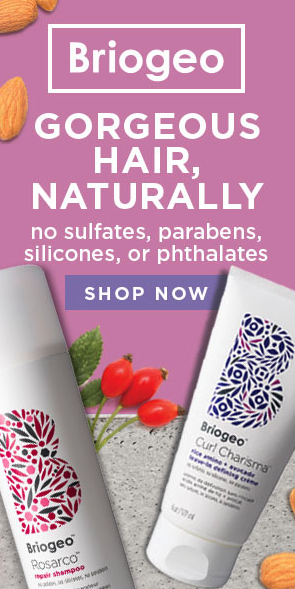 The products are always at least 95% natural and contain no sulfates, parabens silicones, or anything icky but do include blends of natural plant and fruit extracts, oils, antioxidants and vitamins to really have you notice a difference in your hair. Recently the company sent me sample packs of their Be Kind, Be Gentle Shampoo, Blossom & Bloom Volumizing Conditioner and Don't Despair, Repair Deep Conditioning Mask to try out. 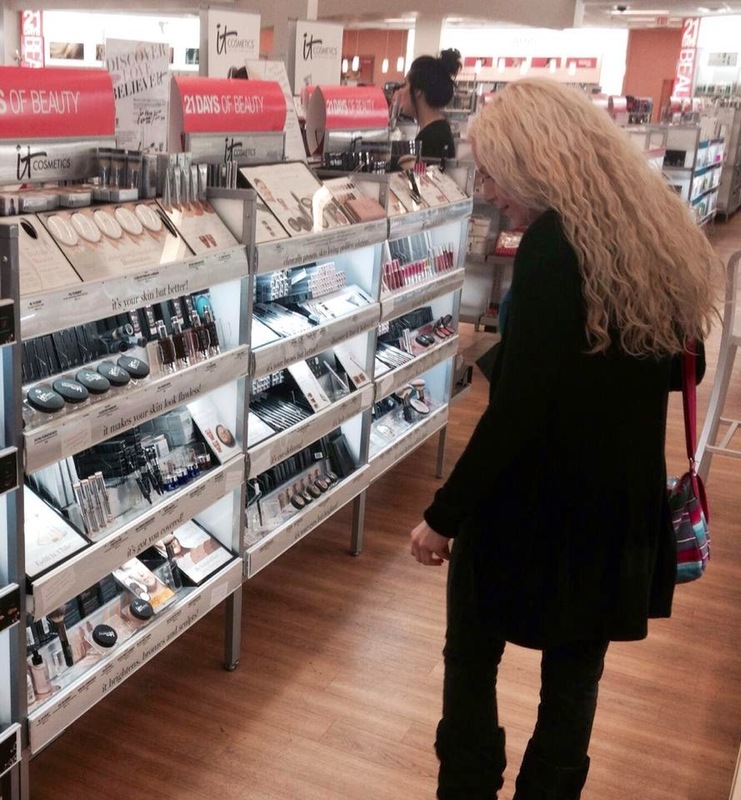 I really enjoyed all the products but the deep treatment was my favorite! I loved it so much I recently just ordered the full size because it claims after 3 uses, there can be a significant decrease in hair breakage! disclaimer: these products were provided to me by the company for review consideration. i receive no money for my reviews and am not endorsed or sponsored by any company. Here are my video unboxings for Birchbox & Ipsy for March 2014. One box I was a bit disappointed in this month and the other one was AMAZING! 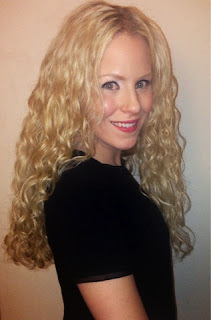 Deep Conditioning Info & Demo for Hair! Hi guys =) I don't think I can ever thank you enough for reading my little blog here..so thanks! 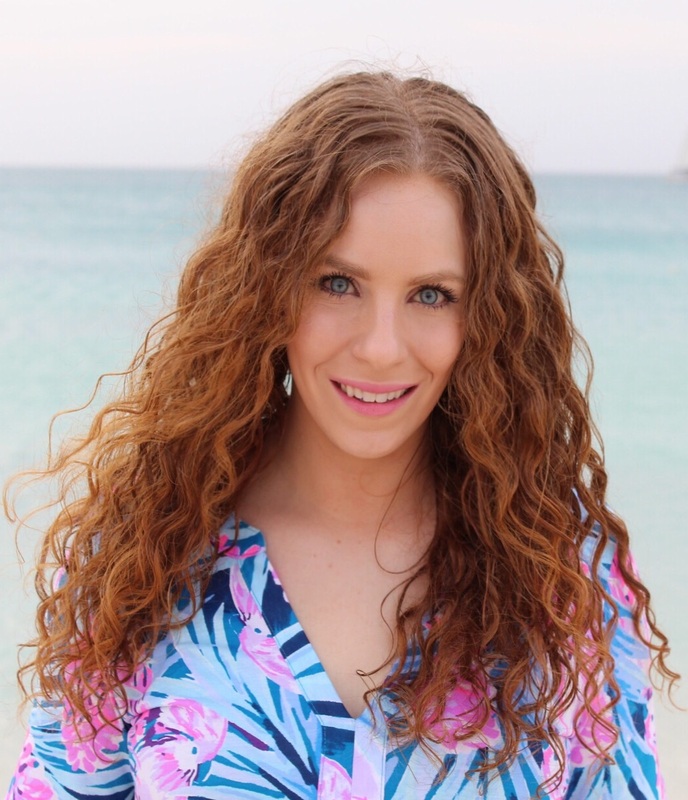 Anyway this blog is to match my video giving tips, tricks and a ton of information for deep treating curly, wavy, colored and really all hair types! Deep Conditioning is such an important and critical step in maintain the health of your hair especially if you are trying to grow it nice and long! 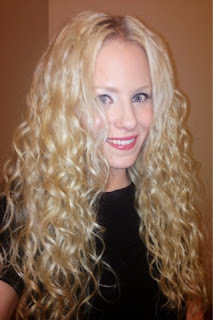 -my favorite deep conditioners at various price ranges...and all curly girl method approved! -plus a demo on how i apply deep treatments straight from the shower with background music my boyfriend Tommie & I made together for some of my videos. 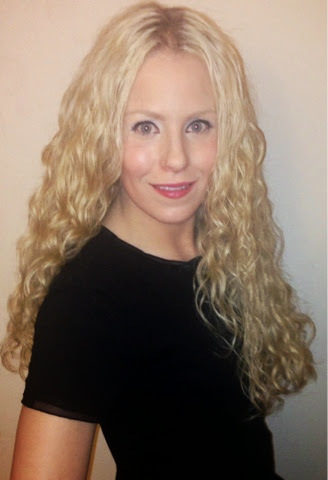 So maybe you remember I did a hair of the day post here talking about the Mahogany Naturals Irish Cream Hair Smoothie? Well I have used it a few more times since then as well as the Hair Juice and now have my full review! Mahogany Naturals is a great hair product line because the products have all natural and beneficial ingredients for the hair (and skin) with no sulfates, parabens, sulfates or anything bad inside! The Irish Cream Hair Smoothie really left my hair nice and soft and the Hair Juice I am currently using as my day 2 & 3 refresher spray. It helps revive my curls and add moisture back into my ever so dry hair without weighing my hair down! Plus it smells nice and fruity. disclaimer: these products were sent to me by the company for review consideration. i am not endorsed or sponsored by any company and receive no monetary compensation for my reviews. all opinions are my own and truthful thoughts. I have really been loving the new Lipsurgence Power Pigmented by Tarte Cosmetics. 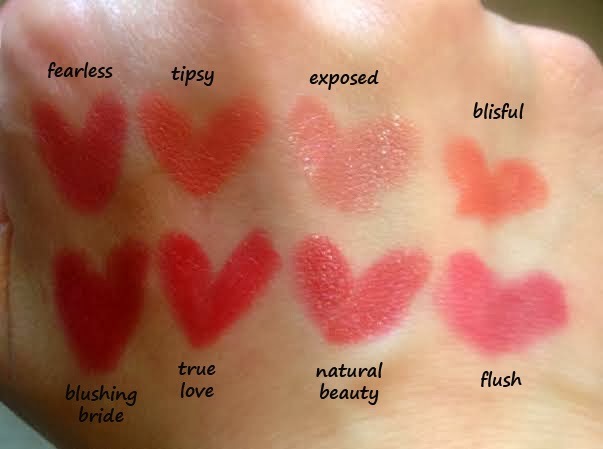 Released for Spring 2014, these wonderful lip products are similar to the original and well loved Lipsurgences except they are even more pigmented, longer wearing and have a slimmer formula making it easy to line the lips! I have also been loving the beautiful packaging- which matches each shade to it's corresponding cheek stain! 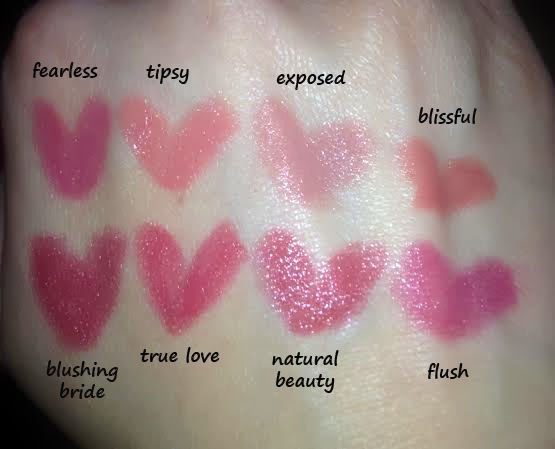 Personally, the perfect shade of pink "fearless" and nice berry "flush" are my favorites but they really all are beautiful. A bonus is they twist up from the bottom so there is no need for a pencil sharpener. disclaimer: these were sent to me by the company for review consideration. i am not endorsed or sponsored by tarte or any brand and receive no monetary compensation for my reviews. opinions are honest and my own, as always. Not wanting to wash since I didn't sleep with oils in my hair I figured I'd toss it up and not worry about it. So I applied some Nubian Heritage Strengthen & Grow Custard throughout my hair to treat it and tossed it back. Initially I tried a messy bun- my loving boyfriend kindly told me that a messy bun isn't my cutest look since we were going to eat and such. (thanks babe.) So then I tried a cute high ponytail but my hair has actually become too heavy to do high ponytails without it hurting my neck and head! Wow! So confused on what to do and just about ready to throw a hat on I attempted a low ponytail with a side part. At first I thought I looked weird (I'm not used to wearing my hair tied back ever) but my boyfriend said I looked really cute and by the end of the day the look grew on me and I started to like it. I'm glad the hair day wound up not as bad as I originally thought it would be and I discovered a new easy but cute way to wear my hair back! Let's ignore the fact my brows REALLY need to get threaded ;) Being that is was almost 60 degrees and super amazing outside today, I wanted to channel Spring with my eyeshadows and do a nice, light Spring inspired look! 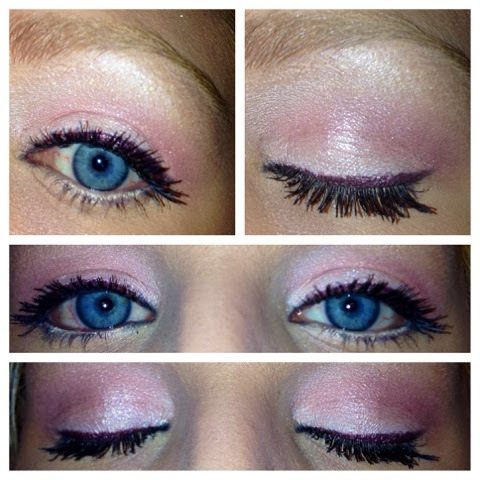 Using the "Loving life" palette from the 3rd Shipment of Mally's Easy on the Eyes kit, I used the shade "merlot" wet as a liner, "angel wings" on lid, "natural" in crease & "starbright" under the brow. I loved the final result! So technically this was hair of yesterday, but I tried this post twice from my ipad and let's just say the blogger app decided to hate on me. So this winter has been so dry my hair seriously just can't get enough MOISTURE. I have been using my huetiful hair steamer every week and then every other day hitting my hair with my Q-Redew hand held steamer to refresh and remoisturize. 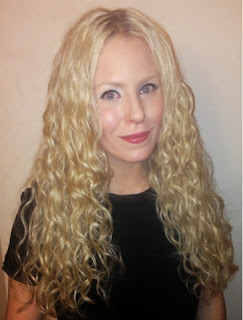 Yesterday after shampooing with Brigeo's Be Gentle, Be Kind Shampoo I used the Curl Junkie Repair Me treatment and sat under my steamer for 2 rounds of steam. This stull smells aweful to me but it works so well with a perfect protein moisture ratio I deal with it. 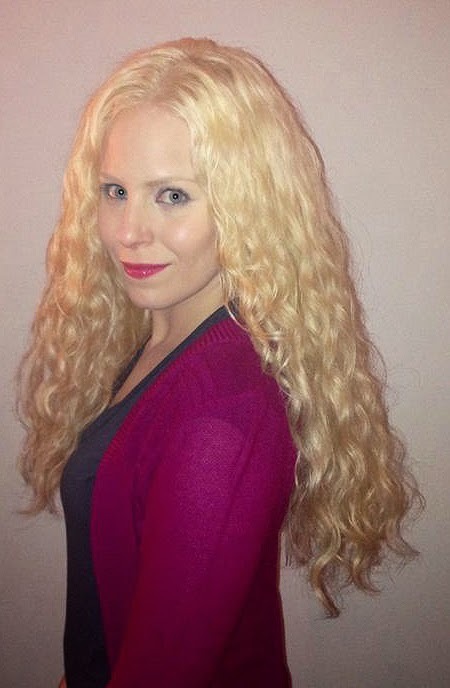 After that I applied Clairol Shimmer Lights for 5 minutes to try to fight the brassiness in my blonde hair. Once all the treatments and conditioners were rinsed out I styled using SheaMoisture's Smooth & Repair Rinse Out Conditioner as a Leave In, a mix of 3 Pureology Sprays (essential repair, perfect 4 platinum miracle filler and color fanatic) because I can't decide which is my favorite of them, Living Proof Prime Styler Extender (a must!! ), Wondercurl Pudding & Get Set Hair Jelly. 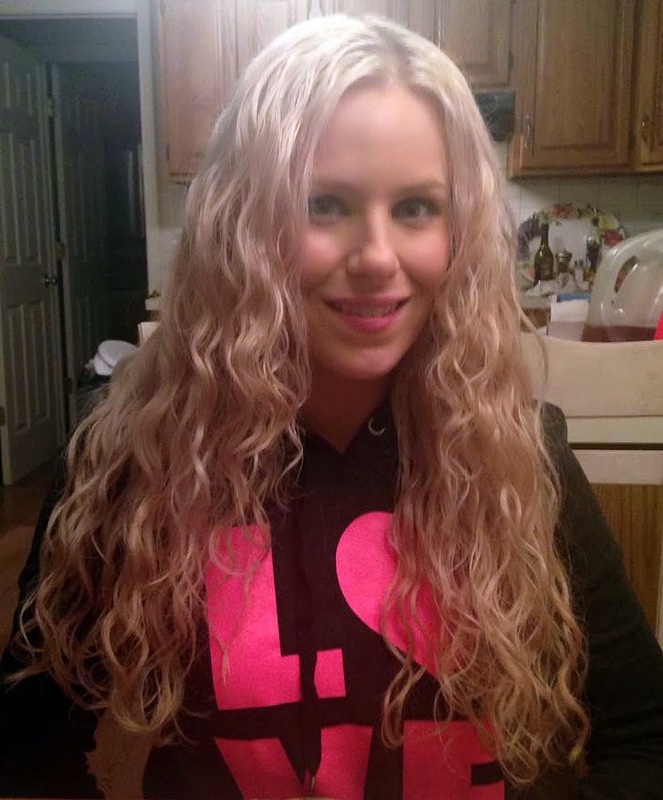 I applied each product section by section raking them through my hair then scrunching and then plopped with my Curl Ease towel while applying my skin care and body lotion. 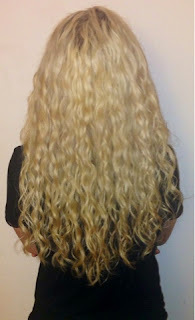 Once out of the plop I sealed it all with pure argan oil. have been reaching for them often to style lately. I am really pleased with the results! The pudding has just the right amount of moisture and the Jelly is an aloe based gel with good hold. 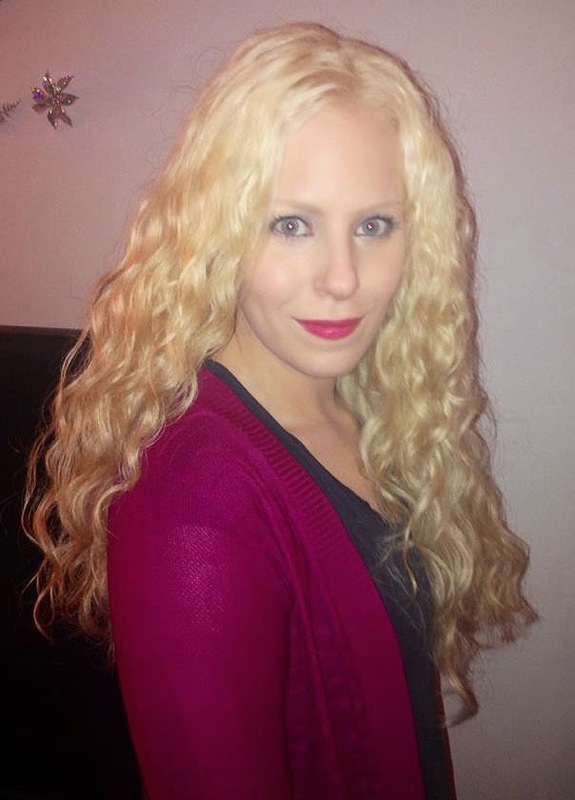 Be warned- the jelly dries stiff and crunchy but scrunches out with no problem and I'm left with smooth, soft, defined curly waves. Those products are also silicone, sulfate, paraben free and natural! And since I am on day 2 hair here is my second day hair. To refresh I just used the Mahogany Naturals Hair Juice and some Caviar Curls Velvet Leave In Detangler on the ends because like I said in the beginning, my hair lately just can't get enough moisture! 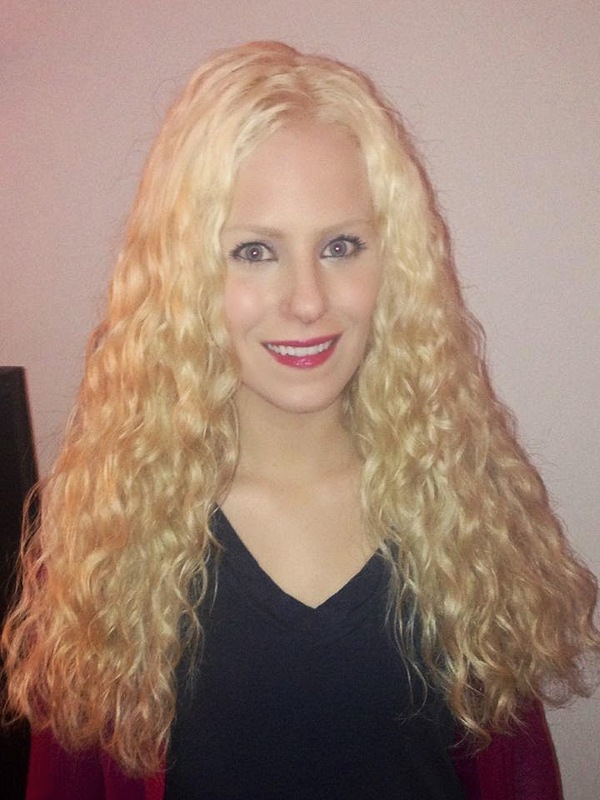 I've also been battling with my hair color- brassiness and the bottom being darker than the top. It's currently infuriating me but that is a whole nother blog post. 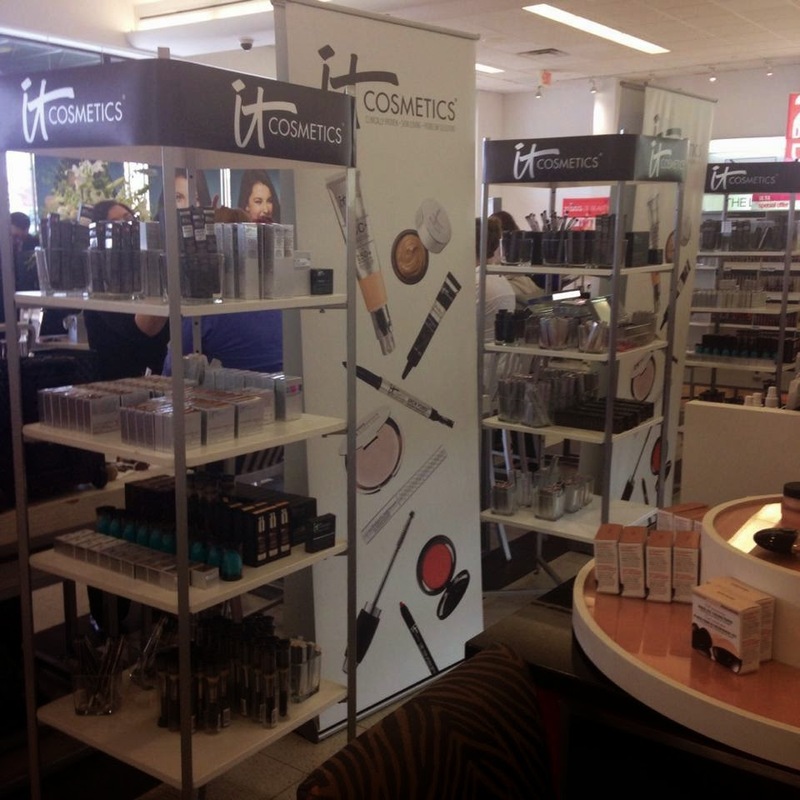 On Monday, March 10, 2014 It Cosmetics will have a Today's Special Value on QVC! If you don't know a Today's Special Value (TSV) is an item or kit that for one day only is offered at a great price! 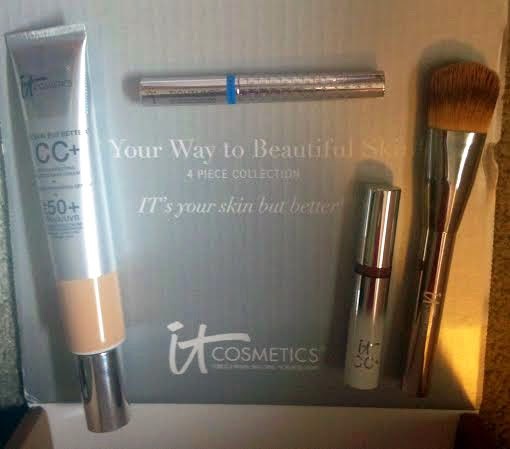 The It Cosmetics TSV's of the past have been incredible deals with awesome products and this one is absolutely no different! The new TSV, "CC Your Way to Beautiful Skin" is a 4 piece collection geared to help simply your makeup routine with multi-tasking items that will help improve your skin, lips and lashes as you wear them! The value is also incredible on the deal! 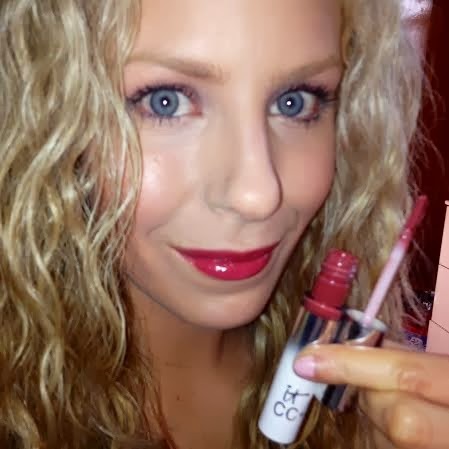 The CC is one of my HG (holy grail) makeup items. 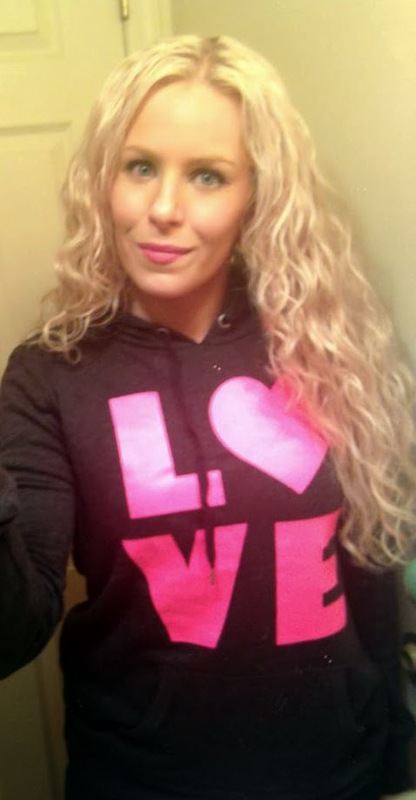 There are quite a few ways you can wear it but it provides full coverage and can get you out the door in a minute! Check the video review for much more details! Along with the CC Cream you get a brand new brush to apply it with! I LOVE It Cosmetics Brushes!!!!! They are so soft, not made from animal hair and just apply product to the face effortlessly. And they feel amazing being brushes against my skin- it's super soothing! The brush in the kit is a nice plush paddle brush. Also in the kit is the popular Tightline Full Lash Length Black Primer- but it is now in a waterproof formula! For whatever reason, I really like the waterproof formula better than the original. I have super thin, short, blonde lashes so I need all the lash help I can get. While I can get away with the black primer on it's own, I do prefer to wear a mascara over it. It's nice because it gets down the the very root of the lash so you don't need to line your upper waterline (aka tightline) This is also is great on the lower lashes! This lash primer is also full of ingredients like biotin, collagen, oils and peptides for your lash health! Finally, debuting in this kit is the new CC+ Lip Serum. I am already addicted! The new CC+ Lip Serum is a hydrating, anti-aging, color correcting creme gloss that is clinically proven to increase lip hydration, color correct, reduce the appearance of lip lines and increase lip suppleness! It is also infused with goodies such as collagen, peptides, hyaluronic acid, essential butters and oils to really help the condition of your lips. I love it because it smells like vanilla, is a really pigmented rosy shade called "Love", glides on incredibly and is not sticky or tacky at all. I REALLY hope this is released in more colors and soon! Aside from the fact It Cosmetics products are super easy to use and have skin care benefits, I also love that they are always against animal testing and cruelty free! Disclaimer: The company provided me with this kit for review consideration. I also purchased a second kit off QVC with my own money to have a second shade of the CC cream. All reviews, opinions and words stated are my own honest opinions. I am not endorsed by any company and receive no monetary compensation for my reviews. I ordered a kit off qvc by celeb hairstylist Sarah potempa- it had 2 of her full size wrap ups, a half siZe wrap up, a pretty headband and a cute bag. they come in choice of hair color too! I was also worried it wasn't going to fit all my hair but it did with no problem! A few weeks ago Influenster sent me another box of goodies! This time, it was Valentine's themed and called the "J'Adore VoxBox" There were all types of random fun goodies in there! To see my unboxing and what was inside, check out my video below! 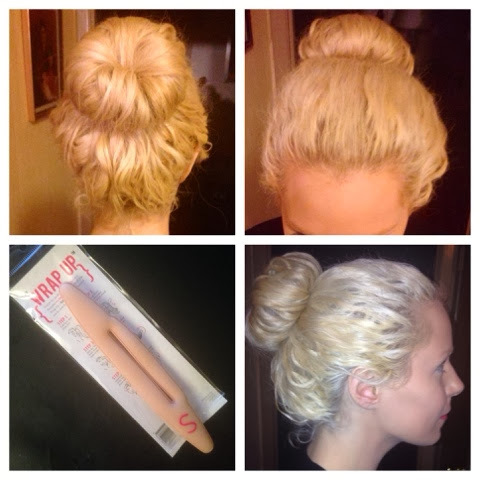 disclaimer: Influenster is a program that sends people products complimentary in exchange for reviews. However, all reviews are always my own and honest opinions. I have been doing my hair growth journey updates for almost 2 years now! I got my roots touched up and a trim since the last one! Back in July 2013, Mally Beauty has an incredible Today's Special Value Kit on QVC called "Easy on the Eyes" it features an eyeshadow palette, 3 different colored liners, her award winning Volumizing Mascara, and her Under Eye Brightener in a Pen form! If you went on auto delivery for the kit you were able to get two more shipments with different colors in November 2013 and then in February 2014. This is the February 2014 and final shipment. I am sad there are no more shipments because I really enjoyed the value and different colors of everything. Plus the under eye brightener is a holy grail makeup item for me I use every single day! Of all the palette colors, I actually think this most recent one is my favorite! Such gorgeous and wearable Spring shades! 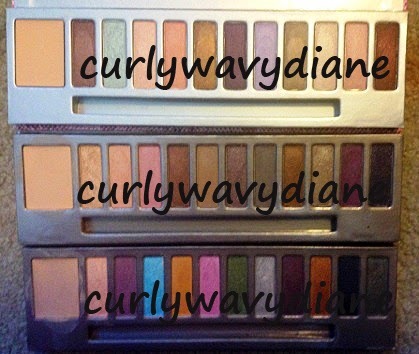 You can see the picture to the left all the palettes. But don't get me wrong- they are all beautiful! There are also links in the description box on Youtube if you'd like to see my reviews with demos of the first 2 shipments as well! disclaimer: this was purchased with my own money. i receive no monetary compensation and I am not endorsed or sponsored by any brand for my reviews.